Heather Yenawine is the creator of the Fair Event Vendors Alliance. As the primary dj of her company HAY DJ, Heather is valued not only for her great taste, versatility and ability to orchestrate the energy on the dance floor but also for her professionalism, attention to detail and positivity. She is also the co-founder and producer of sold-out musical fete Wes Fest, as well as NY 77,’ Kill Ville and Pulp Funktion. Heather holds a BA in Public Policy and African American Studies with extensive coursework in Queer Theory & History and Gender Studies from Syracuse University (2002), where she received the distinction of Remembrance Scholar, for service and academic excellence. Heather’s choice of studies abroad in Harare, Zimbabwe and Kathmandu, Nepal reflect her open mind, courage and quest for broader perspective. Prior professional experience includes working as an intern music supervisor on the documentary, Beautiful Darling, about transgender icon Candy Darling, Sales & Marketing Director for Bejeezus Magazine, writer of LGBT cover story for LEO: Louisville Eccentric Observer, and intern writer for WFPL’s State of Affairs. Crys Ludwick brings FEVA not only her incredibly discerning eye but an impassioned work ethic for making things happen. She owns Crystal Ludwick Photo LLC and serves as freelance photographer to Louisville Voice Tribune and Modern Louisville Magazine. Her photography has been displayed in exhibitions at Louisville International Airport, Hite Art Institute, PUBLIC Gallery (LVA) and resides within the permanent collection of University of Louisville Ekstrom Library. Crys has been a featured artist on artxfm radio and in the blog Artbella, and her work has been published twice in LEO: Louisville Eccentric Observer. Crys holds a BFA in Photography and a BA in Cultural Anthropology. She studied abroad on an archaeological dig in Alcobaca, Portugal and counts Tokyo, Malaga and Madrid as other places she has enjoyed photographing. Sydney O’Bryan brings the savoir faire to the FEVA table. She is the secret gun, the golden ticket to the organization’s promotions and public relations. 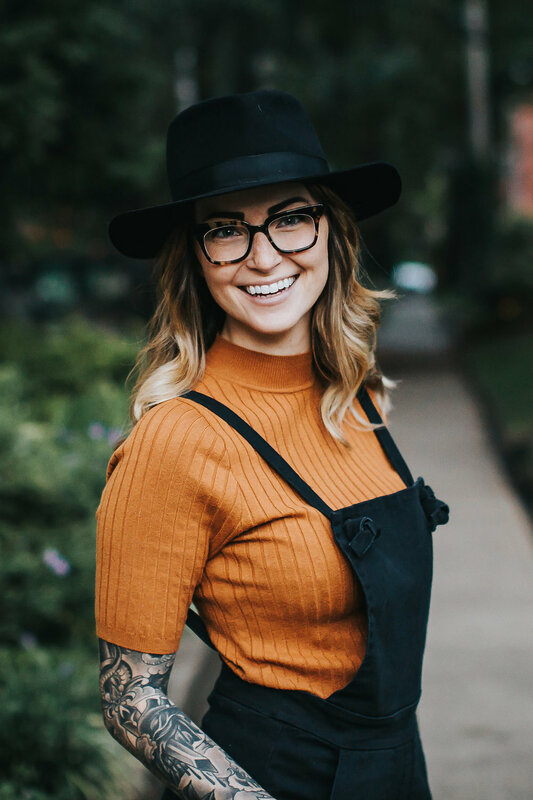 Currently serving as Director of Sales and Marketing at the Louisville Palace and Mercury Ballroom, Sydney is their founder and producer of the Faces Lobby Concert Series and Louisville Palace Wedding Show. Sydney holds a BA in Communications, emphasis on Women’s Studies and Social Awareness, from University of Kentucky. As the former Event Director of Glassworks, Sydney founded and produced their Rooftop Concert Series. Other lead producing efforts include Tom Bulleit’s Bourbon Hall of Fame Induction, PGA Distinguished Awards Ceremony, Wes Fest, NY ’77, Kill Ville, and Pulp Funktion. Ian Herrera brings warmth, willingness and wit to every creative FEVA endeavor he dives into. By day, he is a manager at the Heine Brothers on Frankfort Avenue and in his personal time, he illustrates. Drawing incessantly since early childhood, Ian later studied the fundamentals of Studio Art at the University of Kentucky and Art History at University of Louisville. He cites his multicultural background as a Filipino immigrant as being a formative influence on his aesthetic sensibility and personal style, which borrow from Eastern and Western artistic traditions. As a collaborator and trusted advisor to his sister Heather, Philip has been essential to the development of FEVA conceptually, creatively and financially. He attended the Academy of Art of Cincinnati, where he studied sculpture. Phil’s past professional experience includes leadership positions at Camp Nebagamon for Boys, in Lake Nebagamon, WI and culinary work throughout the country. Phil now resides in Louisville where he creates art and is writing a screenplay. Sam Meyer is the FEVA go-to problem solver. He has the focus and capability to accomplish the nitty gritty but also the creativity to supply fresh ideas that influence the organizational direction. Sam is currently pursuing an Associates Degree and FAA certification in Aviation Maintenance from Jefferson Community and Technical College. Sam’s past professional experience includes serving as chef at Brasserie Provence, Bourbon’s Bistro and The Blind Pig. His volunteer work includes campaigning for the Democratic Party. Randell Bolton provides passion with a purpose to FEVA. What better music consultant for the Wes Fest fundraiser than a man who The Courier Journal featured in an article titled “Randell Bolton Rockets to 156 Shows in One Year?” Randell is co-founder and financial officer of HAY DJ as well as the buyer and social media content manager for Better Days Records on Bardstown Road. He also works part-time in the Louisville Palace box office. Randell’s past professional experience includes serving as freelance music writer for The Courier Journal and LEO: Louisville Eccentric Observer as well as manager at Louisville’s legendary Ear-X-Tacy record store. Sarah Katherine Davis lives and breathes the art that she creates. Her fluid photographic eye and ability to go to extremes to get spontaneous and authentic shots set her apart. As owner of Sarah Davis Photography, she works largely as a wedding and portrait photographer with over 100 weddings photographed thus far. Sarah has been featured in national publications such as The Knot, Junebug Weddings, Love and Lavender, The Lovely Find, Artfully Wed, and Ever Ours as well as local publications such as Kentucky Bride, Louisville Bride, Louisville Magazine, Leo Weekly, The Voice Tribune, and The Courier Journal. Sarah holds a BFA in Photography from the University of Louisville and has shown her work in over 40 exhibitions— from Louisville, KY to Perm, Russia. Her world travels and unique artistic perspective make her a fantastic addition to the FEVA photographic team! Stephanie Linsday acts as FEVA’s official sounding and vision board with her broad perspective that is rooted in attention to creative detail and clarity. Stephanie started Green Lady, a sustainable floral and visual design studio, in 2008. Among her proudest moments is when Tibetan Buddhist monks removed one of her flower arrangements from the stage shrine to a position of honor right next to His Holiness the Dalai Lama during his day of teaching at the YUM! Center in Louisville, KY. Stephanie highly values the collaborative creative process, which is best illustrated through her work as Lead Visual Designer for the Kentucky Bourbon Lodge at Forecastle Music Festival. Stephanie holds a BA in English and Religion from Centre College. She studied abroad in England, Mexico and Israel and counts Turkey, Ecuador and Greece among other extensive travels. Her prior professional experience includes serving as Marketing, Creative & Communnications Director at ReVive Skincare, Senior Sales Development Manager at This Old House and Find! Ventures for Time Inc., and Senior Promotions Editor at Martha Stewart Living Omnimedia. Stephanie is a member of Greater Louisville Outstanding Women and serves as consultant to their board. She also coaches the Middle School Academic Team at Louisville Classical Academy.